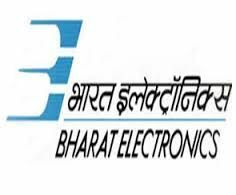 BEL Jobs Recruitment Notification 2018.Bharat Electronics Limited, BEL inviting applications for the positions of Visiting Medical Officer.Interested and Eligible candidates can apply for the positions. 2 .Experience : Minimum 03 years post-qualification experience. 3. Remuneration : You will be paid a consolidated honorarium of Rs 600/- (Rupees Six Hundred Only) per visit (all inclusive). Payment will be made through bank after deduction of applicable Tax. Candidate should be possessing Income Tax PAN card at the time of joining. 4. Contract Period : TWO YEARS from the date of appointment. Which can be extended further at the discretion of the Company for a mutually agreed period. 5. Location : Factory Medical Centre at Bharat Electronics Limited, NDA.Road,Pashan,Pune-411021. 6. Job Description: Providing medical services & consultation. Issue of prescriptions of medicines in your specialization only 8Administrative Work : scruitiny and certification of (i) Pharmacy Bills. (ii) Indenting for procurement of medicines for Medical Centre You will also attend to any other jobs in your area of operation allotted by the Management from time to time. You shall report to the Head of Human Resources Division. Factory Medical Centre at Bharat Electronics Limited, NDA.Road,Pashan,Pune-411021.